Much of the particles that surround Saturn come from active jets on the surface of its moon Enceladus. But NASA's Cassini spacecraft was able to nab a few microscopic grains with much stranger origins. Scientists believe these unusual grains (and they were only about to get 36 of them) come from interstellar space — the huge swaths of relative emptiness between star systems. 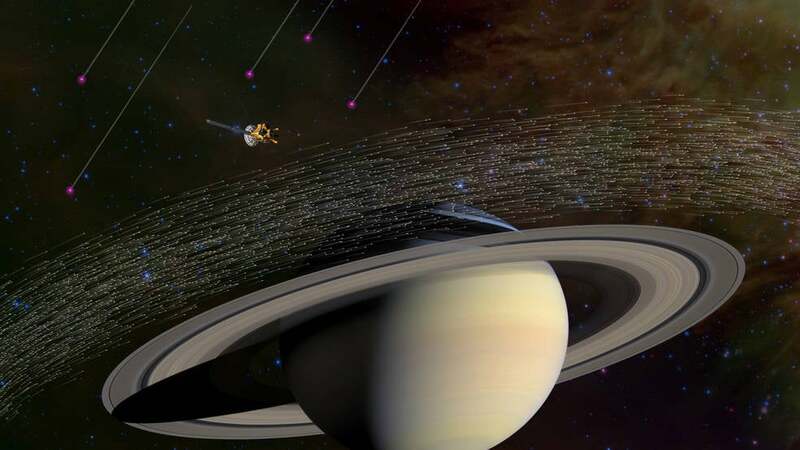 Unlike the majority of particles around Saturn, which are icy, Cassini's Cosmic Dust Analyser determined that these were composed of minerals like silicon, calcium and iron. Stranger still, they also did not resemble stardust grains found in some meteorites. The grains were moving at over 72,420km/h and on a path somewhat different from the other particles orbiting Saturn. While no less impressive, interstellar dust has been encountered by previous missions. NASA's Galileo spacecraft was the first to observe alien particles, which were later determined to come from a gas and dust bubble which our solar system is travelling through called an interstellar cloud.